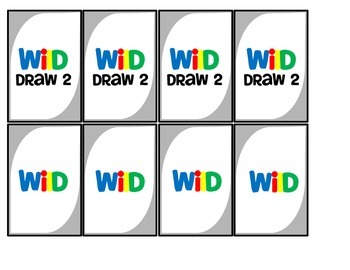 This game is played just like Uno-- complete with skip, reverse, and even Wild and Draw 2 cards! 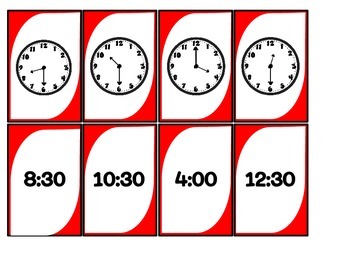 The difference is, instead of numbers, the cards show analog clocks. 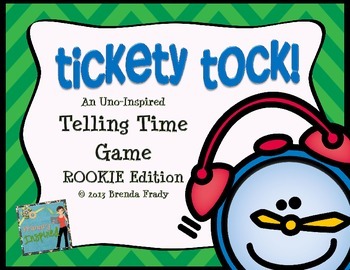 Players match up analog clocks with cards that have correctly written time. Lots of fun! Lots of learning! 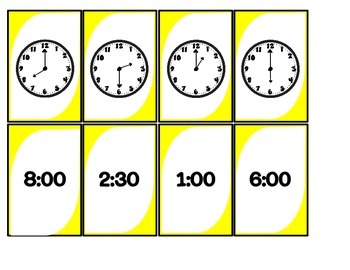 This edition only includes time to the hour and half hour.